Local Tongan sports administrators are outraged at a Government edict that bans girls from playing rugby in public schools. 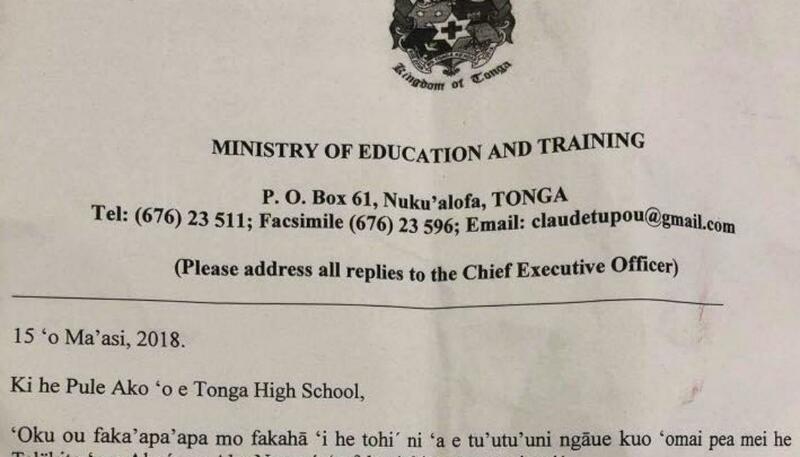 A letter from Education Minister Penisimani Fifita to Tonga High School has been posted on the So Tongan Facebook page. The directive, written in Tongan, bans females in all public schools from taking part in rugby and boxing, due to cultural restrictions. Mr Fifita claims these sports go against Tongan tradition and customs for women, but his views have not gone down well with his country’s extended sporting community in New Zealand. Auckland-based Tonga Advisory Council chairman Melino Maka described the decision as “pathetic” and likened it to the Government not allowing Tongans to buy supplies on Sunday due to traditional trading rules, even as Cyclone Gita bore down on the Pacific kingdom. “We’re supposed to be moving forward,” says Mr Maka. “Everyone around the world is celebrating the role of women and if women want to play sport, so be it.